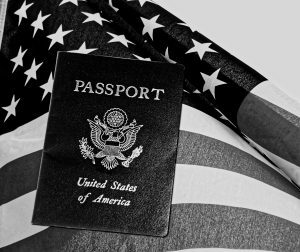 One of the biggest issues discussed during the 2016 presidential election was immigration. In 2015, the United States accepted roughly 85,000 refugees. Now that the results are in, there are still countless individuals who are concerned about how immigration laws may change under President-Elect Trump, especially when it comes to asylum law. According to existing federal immigration law, there are many basic protections that individuals seeking asylum are afforded. These protections originated in international law and were eventually incorporated in U.S. law. Based on these provisions, the United States must provide an asylum hearing to an individual who fears persecution based on race, religion, nationality, political opinion, or membership in a certain social group. Many individuals fear that the process for seeking asylum will be changed or that individuals who entered the United States legally based on asylum will be required to leave. Individuals who have already been granted asylum are entitled to maintain their status unless Congress passes a new law that changes the existing system. If Congress attempted to change the existing asylum laws, it would most likely be a lengthy and difficult process. Part of the process would require the United States to withdraw from certain international agreements, including the Protocol Relating to the Status of Refugees, the United Nations Convention Relating to the Status of Refugees, and the Universal Declaration of Human Rights. In prior presidential administrations, the president has sought the Senate’s consent and approval before withdrawing from a treaty. One area where the Trump administration could effect an immediate impact on asylees is by reducing the number of individuals admitted to the United States on asylum status. This could be done by modifying the definition of one of the protected bases for seeking asylum. When it comes to showing that you are seeking asylum based on your membership in a certain social group, for example, various courts in the United States have interpreted this differently. In most cases, this basis is asserted by individuals who are attempting to flee from domestic violence or gang violence in South America, but it is open to any individual in the world. If the Trump administration narrowed the types of protected social groups, some individuals may no longer be able to qualify for asylum. For individuals seeking asylum based on this category, it will be prudent to include sufficient evidence to demonstrate that they are a member of a recognizable social group. If an application based on asylum is denied, there are other ways that the individual can enter the country or avoid removal. At The Claro Law Firm, our compassionate and seasoned immigration attorney understands how daunting and complicated the immigration process can be. Proudly serving clients in New York, we will stand by you throughout the process to ensure that your rights are asserted and that you understand what to expect. For a free traffic consultation to learn about your legal rights and options, call us now at 1-877-631-3539 or contact us online.